Do you have a view of Battersea Power Station? We would also like to hear from you if you have any stories about how the power station, past or present, has had an impact on your life. Battersea Power Station, since the end of 2014, has been standing wounded with only three chimneys left, and we have not yet seen any sign that the Battersea Power Station Development Company is starting the rebuilding work on the SW chimney. Meanwhile, some of our worries about the social impact and the financial viability of the whole project have been shared by a number of different analysts. For instance, our concerns about the financial viability of Big Bang Development grow stronger as main-stream financial newspapers, such as Bloomberg, have highlighted that after the positive performances of recent years, London’s house prices have now started going down. Bloomberg states, in a recent article, that “prices in emerging prime London fell 2 percent in the final quarter of 2014, according to Douglas & Gordon” and that “the area, which includes the Nine Elms neighborhood, was the worst performer in “emerging prime” London last year, broker Douglas & Gordon Ltd. said”. “Overseas demand for prime London homes is cooling, and some upscale projects being marketed “have gone over to Asia and probably haven’t done as well as they would have” in early 2014” quoting Jack Simmons, head of U.K. residential development and investment at broker Cushman & Wakefield Inc. This alarming report, suggesting that the degrading value of houses might scare investors and threaten the financial plan of big projects such as the one by Battersea Power Station Development Company, was corroborated in an article by The Telegraph. The Telegraph reports that properties in the Nine Elms area are already flipped, thrown on the market to make some gains, before even a single brick of the flats has been put in place. This circumstance seem to confirm our impressions, sharing with The Telegraph’s journalist the “concern that homes built in the early phase of the huge project, were mainly reserved by investors – who have waited for the market to pick up before “flipping” them – and overseas buyers”. 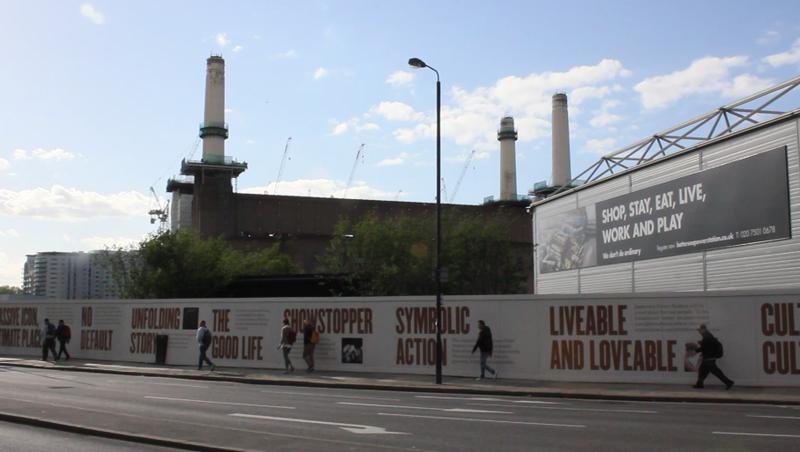 Instead of sounding an alarm in the heads of Battersea Power Station Development Company, the same article tells us that a spokeswoman for the company said: “We launched phase one at Battersea Power Station over two years ago and we are pleased to see that the early pioneer purchasers, who helped to get this project off the ground have experienced good levels of growth”. If fluctuations of the property market could turn investors away, the new strength of British Sterling on the foreign exchange market could cause even more troubles to South Asian Buyers. The Star, one of the most popular Malaysian news sites, published a page explaining how to deal with loans in foreign currencies to prevent investments, such as a flat in Battersea Power Station, turning disastrous by weaker local currencies. Rahim & Co consultant, marketing (London properties), Guy Major says “It is ‘dangerous’ to have a mismatch between your ability to pay based in ringgit and a pound-denominated loan,” he says. If our concerns about the finances of the project are aimed at putting question marks over the narrative used by big bang developers to sell their projects, other media apparently started sharing our worries about the social impact of this monster development. The Guardian came out recently with a long and quite critical article about Battersea Power Station, “the biggest building site in London, and one of the largest regeneration projects in Europe”. 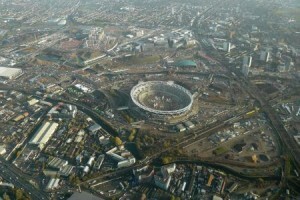 Significantly titling the article “Battersea is part of a huge building project – but not for Londoners”, the Guardian highlights the tendency of new developments in London to get higher – “Hong Kongification” as Tony Travers, director of the Greater London group at the London School of Economics, puts it. The Guardian quotes Ravi Govindia, the Conservative leader of Wandsworth council “Yes, some of the buildings will be tall, but there will be a distinctly London flavour. It’s going to be a place that people [will] enjoy living in.” Govindia says, adding that the project “will bring 25,000 permanent jobs plus 20,000 construction and engineering jobs during the building phase”), the article warns that building luxury flats for wealthy foreign buyers is exacerbating the housing problem for thousands of Londoners in need of homes. The Bureau of Investigative Journalism recently released an accurate and in-depth research about the British Housing Crisis. The investigation is focused on the ever growing lack of social and affordable houses in UK, revealing some of the tricks developers use to overcome the commitments they are requested to fulfill by local authorities. The article is largely based on development schemes in the socalled Vauxhall Nine Elms Battersea Opportunity Area (VNEB). In these areas Spectacle has been engaged for years producing media and informative blogs about the social and economic flaws in “big bang” speculative developments and how they conflict with meaningful and sensitive architectural preservation and thriving urban environments. The Bureau of Investigative Journalism’s authors give interesting keys to understand the dynamics behind big projects, the contradictions of the property market and its impact on Britain’s most vulnerable people. We warmly recommend it. 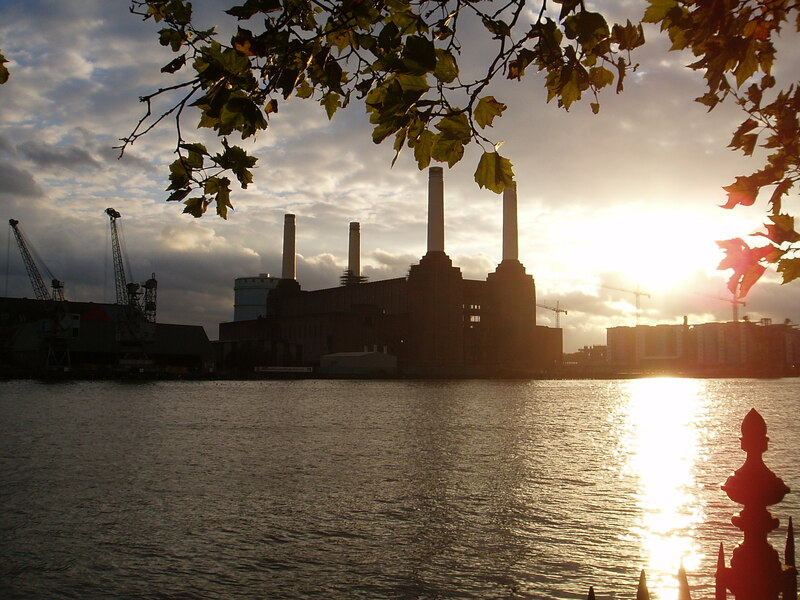 The first of Battersea Power Station’s emblematic cream chimneys is likely to be demolished this month by its current owners, the Battersea Power Station Development Company (BPSDC), which is part of the Sime Darby consortium. The company claims its intention is to replace the chimneys – which it says are beyond repair (despite evidence to the contrary) – with identical replicas. However both John Broome’s precedent and discrepancies between the company’s reasoning and its actions suggest this might never happen, as, of course, does the commercial potential of the site, without the power station sitting awkwardly in the centre of it. 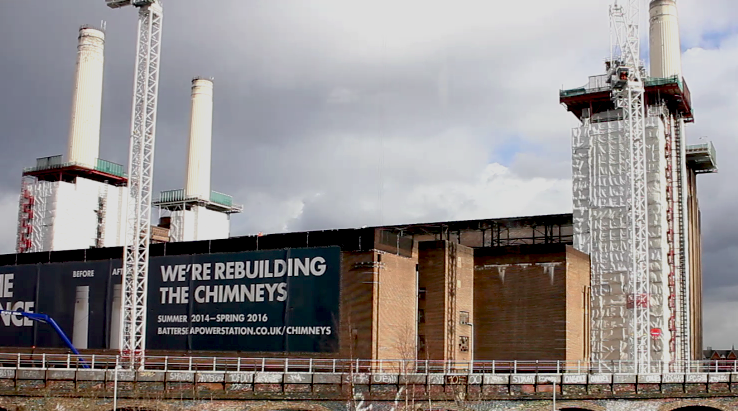 Footage shows Robert Tincknell, Chief Executive Officer of Battersea Power Station Development Company, insisting that the chimneys have “structurally failed” and that “big chunks are falling off”. However the company continues to lease the site for public events, including Everyman Cinema film screenings and ‘Street Feasts’, held in the shadow of the chimneys Tincknell says are disintegrating. Event-goers have not been told to wear hard hats or other protective gear, but perhaps this is because these things would be useless in the event that an entire chimney is brought down by high wind, as Richard Barrett, an Irish property investor who co-owned Battersea Power Station before it was bought by the Sime Darby consortium, has previously suggested may happen at any time. The Sime Darby consortium – which has been accused of exploiting the local community at their oil palm plantation in Liberia – have so far put up only £11 million of bond money to guarantee the replacement of the chimneys, a woefully small sum, and one suggested by their own employee, Philip Gullet, Chief Operating Officer at Battersea Power Station Development Company. 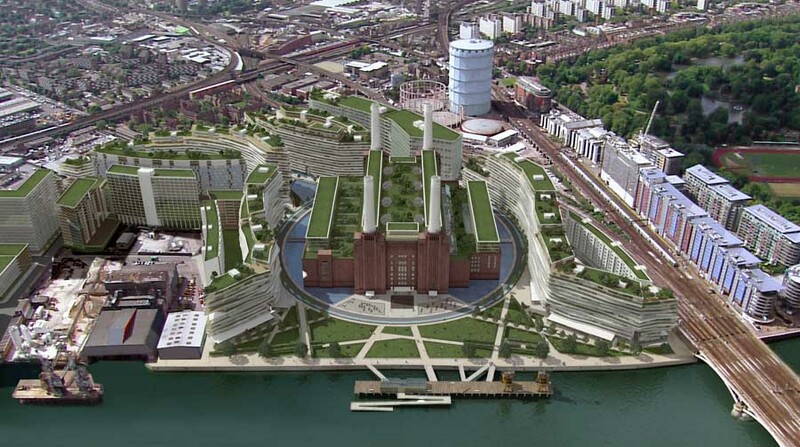 In addition to this the bond money has been deposited into an account with Malaysian bank CIMB, making it more difficult for Wandsworth Council and English Heritage to access it in the event that Battersea Power Station Development Company default. According to campaigners, it is imperative to its retrieval that the bond money is moved to a British bank account. In response to these criticisms, Battersea Power Station Development Company have agreed to a meagre compromise; they will demolish one chimney to begin with and must partially rebuild this before they can demolish the other three. This is still flouting the Council’s original rules, which said that the chimneys must be demolished one at a time. Campaigners believe that partially rebuilding one tower is not enough to guarantee the completion of four new chimneys. They suggest that Battersea Power Station Development Company are clearing the site little by little and point to the fact that, despite owning a vast swathe of riverfront, Battersea Power Station Development Company have removed the power station’s listed cranes purportedly to allow the chimney rubble to be removed by boat. There are concerns that the cranes won’t be brought back, and some consider their removal to be further evidence that Sime Darby have no intention of actually renovating the power station. However, in an unusually considerate move,Battersea Power Station Development Company have at least set up a helpline number, for those traumatised by the sight of the maimed power station scarring the skyline, perhaps during their daily commute. Our short video comments on the discrepancy between the developer’s claim that the chimneys are rapidly disintegrating, and their actions in allowing public events to take place on site, directly below the “structurally failed” chimneys. It also includes the helpline number, in case you feel personally disturbed by the destruction of Battersea Power Station. At the start of this year, January 28, there was already opposition against the extension of the Northern Line. Liberal Democrats in Lambeth have suggested a Docklands-style light rail or monorail link between Waterloo, Vauxhall and Battersea as an alternative. Local campaigners also question the transport benefits of adding an extra branch to an already complicated and overcrowded rail route like the Northern line. Battersea Dogs & Cats Home is demanding Transport for London (TfL) reconsiders plans for the Northern line extension over fears it will force its animals to be relocated. The rescue home, in Battersea Park Road, Battersea, is within touching distance of a new station planned to open at Battersea Power Station. Chiefs at the charity have said the welfare of the animals could be affected during construction, while the extension would mean the rescue home could not expand in the future. The Evening Standard reports that the rescue home has joined the Beefeater Gin distillery in nearby Kennington, to write to the Transport Secretary opposing being made to sell large swaths of property. It would have to vacate 70 per cent of its site on a 14-day notice, it says, under legislation proposed by TfL. In the letter to Patrick McLoughlin, seen by property website CoStar News, home chief executive Claire Horton calls TfL’s sweeping powers “excessive”, adding that the transport body “has insufficient understanding of the complexity and sophistication of the facilities at our building”. Chivas Brothers, operators from the Beefeater distillery, has also written objecting to TfL’s plans to compulsorily purchase land for a ventilation shaft. The company says dangers posed by the construction would prevent it operating on the site. Enough reasons to reconsider the Northen Line Extension, so it seems. Michèle Dix, managing director of planning for TfL, said: “We are working through a Transport and Works Act Order process and are not expecting a decision on the Northern line extension from the Government until summer 2014. Transport for London (TFL) is proposing to extend the Northern line (Charing Cross branch) to Battersea, via a new station at Nine Elms, as part of wider plans to regenerate the Vauxhall, Nine Elms and Battersea area. If you’re interested in this, view the provisional outline programme for public inquiry, which is running the next four weeks. This Northern line extension (NLE) forms part of wider plans to regenerate the Vauxhall, Nine Elms and Battersea area. Following public consultations in 2010 and 2011, the Council’s Cabinet approved a recommendation to support this preferred route (January 2012 Cabinet Report). However, in response to community concerns, TfL was asked to do some further design work and analysis, particularly around the locations of the shaft. TfL has now produced an update leaflet on the consultation and work so far. Further consultation is proposed over the coming months. You can find out more or sign up for regular updates at the TfL Northern line extension page. The extension of the Northern line is part of wider plans to improve public transport in the area to respond to levels of development expected in Vauxhall and Nine Elms. Additional public transport is needed to support this new development and to benefit existing residents and businesses. Less pressure on Vauxhall station and relief to the existing Northern line south of Kennington. The extension is a partially privately funded project by the site developers, SP Setia and palm oil conglomerate Sime Darby, with contributions from other sources such as the proposed new US Embassy. 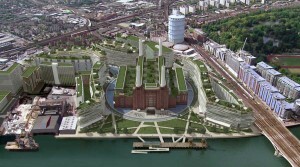 Subject to permission from the Secretary of State for Transport to build and operate the extension and the required funding being in place, construction could begin in 2015, and the extension could be open by 2020.Battersea will be the new southern terminus, with a new station at Nine Elms on Wandsworth Road. Both new stations will be in Travelcard Zone 2. 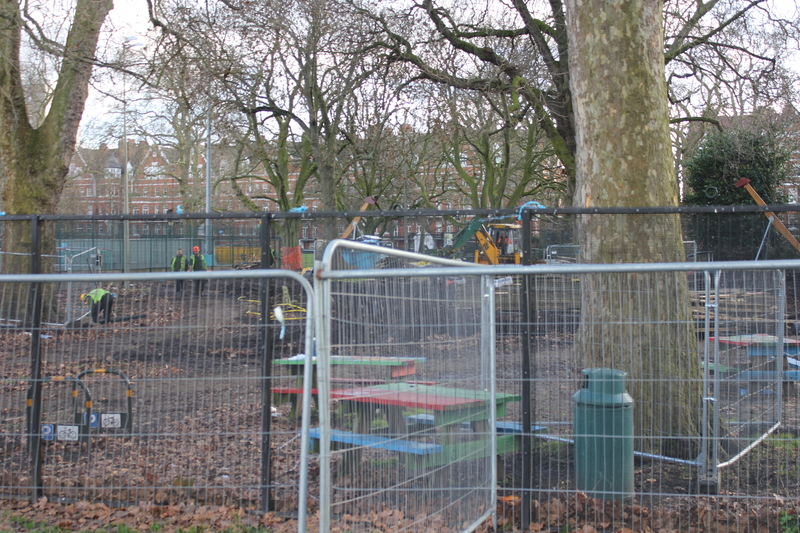 The adventure playground in Battersea park has now been demolished for three month. Before the demolition Wandsworth council claimed that the One O Clock club had to be closed because of the protesters, but is now going to be opened as a cafe instead. The rebuilding of the playground has started and the main part is for younger children. There will be a part aimed for older children, but to access this part you need to pay. So is this new playground really going to be better and safer then the last one? It will probably be safer in the sense that less people are going to be able to enjoy themselves at the playground. And is it really okay to put an age limit on having fun and play and excluding older kids by forcing them to pay? Should it not be free for all or is this part, made for older children, really going to be such a magical place that is worth paying for? 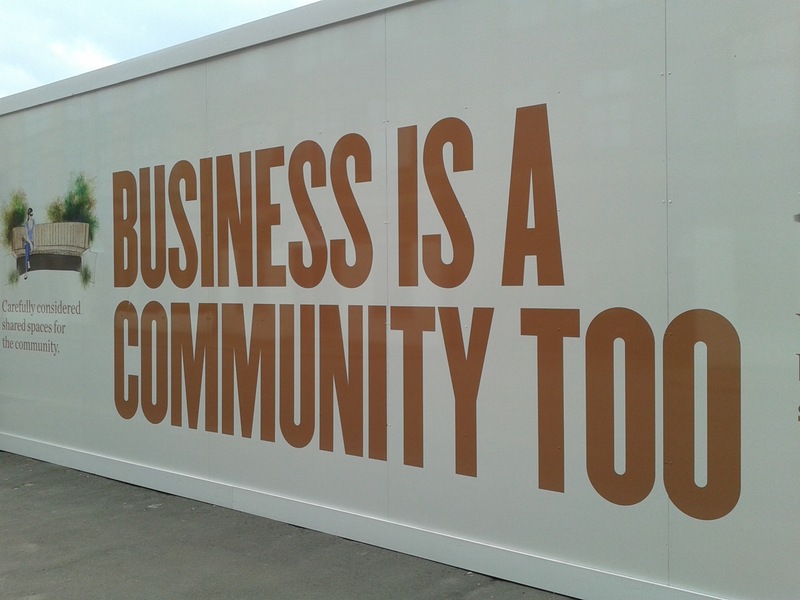 Of course it is just another depressing aspect of the gentrification, privatisation and commodification of the Battersea / Nine Elms area. We wrote on the blog yesterday that the Adventure Playground in Battersea Park has now been demolished. Wandsworth council took the decision to destroy the playground despite protests from members of the community. The council claims that the old playground must close on health and safety ground and that a new and more safe playground will be built soon. The new playground will no longer have staff around to make sure that all children are safe, and it is supposed to be much cheaper than the old one. If the new playground is ever built is still in question, but we are sure that the demolition of the old playground is a part of a gentrification ripple effect starting from Battersea Power Station and Nine Elms developments. Despite protest from members of the community the popular Adventure Playground of Battersea has been demolished by Wandsworth council. 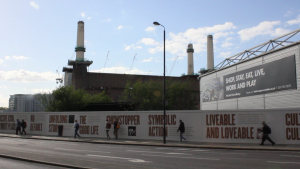 The demolition can been seen as a part of the gentrification that are being preformed in the area of Battersea power station and nine elms-area. 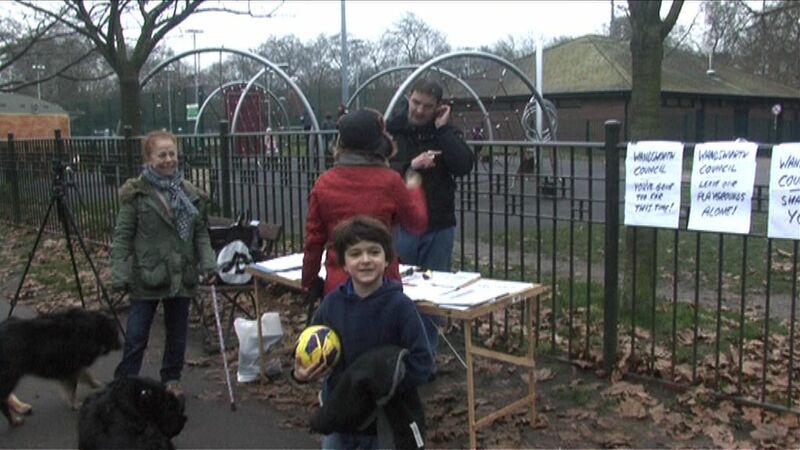 Members of the community and the organisation Occupy London had since the 5th of January occupied the playground in protest of the planned demolition in hope that the council would change their mind and let them open the playground again. This didn’t stop the council and with arguments that “the old playground had safety and health issues” they decided to ignore the will of the community. What is even more interesting is that a smaller playground in Wandsworth, Kimber road, was planned to be demolished before the one in Battersea, but the council has yet started the demolition. Why they chosen to postpone this demolition is still unclear, but it might be that they are just waiting for the bad publicity after the demolition of the other playgrounds are over. The community are now planning to fight for the last standing playground in the council and stop this gentrification to go any further. Wandsworth Council posted an article claiming that “squatters who were yesterday (Wednesday) evicted from their illegal camp at Battersea Park’s adventure playground have left behind a squalid and disgusting mess”. This is part of their propaganda. More than 4000 signatures were gathered by members of the community who wish to preserve the Battersea Park Adventure Playground, yet their voices are being silenced. Do not fall for this propaganda. The protesters are members of the public, parents and residents of the area who have spent some of the coldest nights of this winter in a locked site. They fight for their children’s right to enjoy what the Battersea Adventure Playground has offered for them and their generation. Whereas the Council’s intentions are highly arbitrary. They have not offered a valid justification for their actions and they keep ignoring the public’s wishes. This video was filmed in the very early hours of Wednesday 23 January 2013. It was taken by peaceful protesters occupying the building adjacent to the Battersea Adventure Playground – under Section 6 (1) of the Criminal Law Act 1977 – and catches the moment when the police potentially illegally enter the occupied building. You can hear a crow bar being used and the smashing up of the window/building. In our opinion this destruction of public property is not the result of “squatters” but a staged attempt to validate bureaucratic, arbitrary decisions, that have zero consideration for the community’s children. Sign the petition to save the Battersea Adventure Playground and support the “Wandsworth Against Cuts” organisation. Also, visit Save Kimber Road and Battersea adventure playgrounds to read about other adventure playgrounds that have been demolished. Click Battersea Power Station for more blogs. Visit PlanA, our general blog on urbanism, planning and architecture.